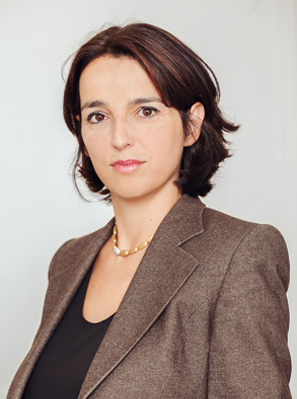 After several years of practice with major international law firms, Mathilde Houet-Weil joined Weil & Associés in 2003 to lead and develop the firm's labor and employment law department. Mathilde has nearly 20 years of experience representing English and German-speaking clients in a broad range of employment and labor-related litigation matters. She regularly counsels HR managers of global companies concerning their most important and sensitive employment issues. She has extensive experience advising employers with respect to matters arising out of re-organizations (down-sizing, closing of plants, business transfers, international and national mobility) as well as matters involving corporate policies, employment discrimination, whistleblower claims, breach of contract and wrongful termination claims, internal investigations, and matters concerning mandatory working hours. Mathilde represents clients in labour courts, civil courts, criminal courts and administrative courts. Mathilde’s clients come from all sectors of the global economy, including the automotive, pharmaceutical, chemical, mining, advertising, e-commerce, and luxury goods industries. Mathilde's dual French-American education enables her to represent Anglo-Saxon companies in a global environment, thanks to a pragmatic approach focused on the economic stakes at hand and on solutions that fit into the social strategy of the company. Her excellent knowledge of the German language and German culture also led her to deal with French-German cross-border cases. Mathilde earned a Master Degree in Paris, an LL.M. from Duke University, N.C., U.S.A., and is admitted to practice in Paris and New York. Mathilde is a recognized labour and employment law specialist and regularly speaks at conferences hosted by the American Bar Association, the International Bar Association and the Canadian Bar Association. Mathilde is the author or co-author of numerous publications, including “International Labor and Employment Laws” and “Social Networking”, published by the Labor and Employment Law Section of the American Bar Association. Mathilde is fluent in French, English and German. WWL says: Mathilde Houet-Weil is "an excellent lawyer" who is exceedingly well known and "incredibly active" in the market, particulary on an international level.